Sending us an e-mail will not make you a client of our firm. Until we have agreed to represent you, anything you send us will not be confidential or privileged. 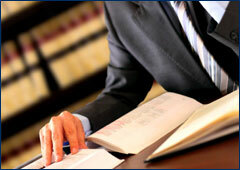 The best way for you to inquire about a possible representation is to call Banker Lopez Gassler. An attorney will first take you through our conflict of interest procedure and see that you are put in touch with the lawyer best suited to handle your matter. If you proceed with an e-mail, you confirm that you have read and understand this notice. I DO NOT agree, return me to the Attorneys page.